China expressed its concern on a report that the U.S. Justice Department was pursuing a criminal investigation into Huawei, in a Ministry of Foreign Affairs press briefing on Thursday. "As far as I'm concerned, the dispute in 2014 between Huawei and T-Mobile was a civil one, which had been resolved properly by both parties through legal channels," said foreign ministry spokeswoman Hua Chunying. "We doubt the true intention behind the move," Hua said, adding that the practice of exaggerating and politicizing civil cases and arbitrarily using state organs to suppress Chinese companies is not only against the rule of free and fair competition, but also violates the rule of law. Hua reiterated that the Chinese government has always encouraged Chinese companies to carry out economic cooperation in accordance with local laws, market principles and international rules. 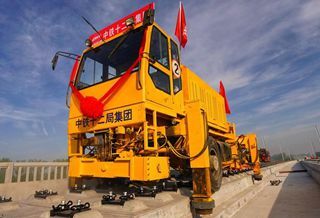 "We hope that the U.S. can also provide a level playing field for Chinese companies' normal operations in the country," Hua said.